Studied at Sunderland College of Art and Royal College of Art (1955-1958). 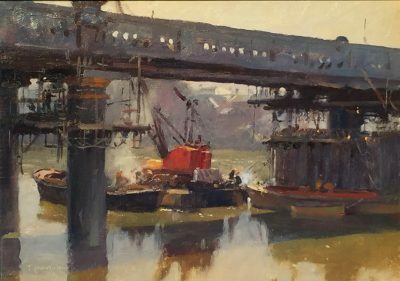 After college, he exhibited in ‘Some Contemporary British Painters’ show at Wildersteins, London and at the Piccadilly Gallery. 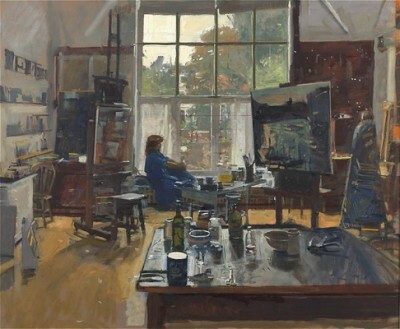 In 1985 he left teaching to work full time as an Artist and has since exhibited regularly at the mall Galleries, London, with the New English Art Club, the Royal Society of Marine Artists, the Royal Society of British Artists, the Royal Institute of Oil Painters and the Royal Institute of Painters in Watercolours. He was elected a member of the ROI in 1993. While living in the North East, he had one-man exhibitions in Newcastle, (Gallagher and Turner Gallery), Hexham and Durham as well as completing a set of murals for a ‘Gothic’ banqueting Hall in Newcastle. He was also a regular contributor to mixed shows at the Maculay Gallery, Stenton, Scotland, the Zilla Bell Gallery, Thirsk and the Chantry House Gallery, Ripley, Yorkshire. 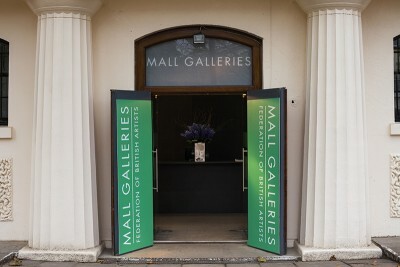 In recent years has had one-man exhibitions at the Hawker Gallery, Amersham in 2002, 2004 and 2006. 1995 – Winner of the Cornelisson Prize. 2001 – Winner of the Llewellyan Alexander Gallery Prize and the Stanley Grimm Prize. 2005 – Won the Menena Joy Schwabe Memorial Award for outstanding painting. He has paintings in the National Gallery of Wales and the Government Art Collection, also in many private collections in Britain and abroad. Although predominately a painter of landscape, interiors and still life in oils, acrylic and watercolour, he also does portrait commissions and mural work.